The Santa Express, a fundraiser benefiting Vanessa Behan Crisis Nursery announces the opening of this year's holiday retail store for kids in its NEW location. It's on the Main level of the Crescent Building. 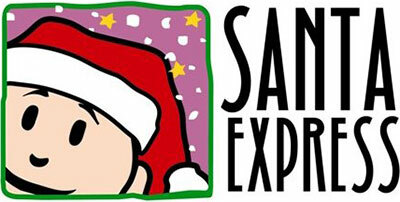 Santa Express opens this Wednesday, November 23 remaining open until Friday, December 23. With the help of Santa's elves (volunteers), young shoppers between the ages of 4 and 12 choose gifts for everyone on their list and wrap each gift so it is ready to go under the tree. All gifts are priced from 50 cents to $8. 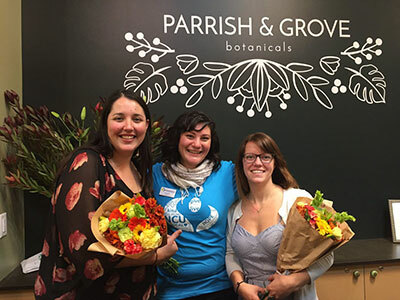 Parrish & Grove Botanicals, which owners Amanda Parrish and Chelsea Updegrove describe as 'your local purveyor of botanical curiosities' opened Saturday in a 350 square foot space in Saranac Commons, 19 West Main. Parrish & Grove is more than a basic florist or nursery. They offer botanical experiences. They sell a variety of exotic house plants and let customers create their own beautiful bouquets and build their own terrariums with unusual succulent. They also offer air-purifying house plants. Parrish & Grove offers workshops, the first one being Wreath Making, Saturday, December 10 from 2-4pm. 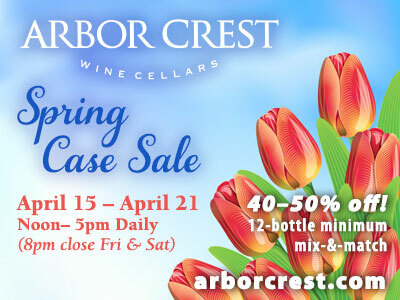 They are open Tuesday through Sunday: 10am-6pm. The phone number is 509-838-7784. For more information on Parrish & Grove, and to register for their workshops go to parrishandgrove.com or on facebook. In this edition, articles focus on: The Number of New Jobs Created, the Number of Full-Time Commissioned Police Officers, the Overall Apartment Vacancy Rate as well as The Spokane County GIS Data Catalog. Crime location maps and The 10-Year Anniversary of the Spokane Community Indicators Website. To access this valuable informational tool go to www.communityindicators.ewu.edu/. Over the past 25 years, Dave Nail's Instant Sign Factory seen lots of changes in the sign business. Like the evolution of the business from vinyl cutters and laminated paper banners to all out digital 4 color production. Instant Sign Factory uses that technology to create a myriad of sign products...banners, car wraps, wall graphics, decals, point of purchase signs, tradeshow displays and fabrics for wall hangings, backdrops, and table throws. Print media options for applications on exterior walls and sidewalks adds another dimension. Instant Sign's mission today is still the same as when they started the business. Provide quality products and solutions with great customer service on a timely basis. Our success is a result of great customers and employees who make our job fun. Their motto is, 'We make you look good1' And they've done just that for over 25 years. 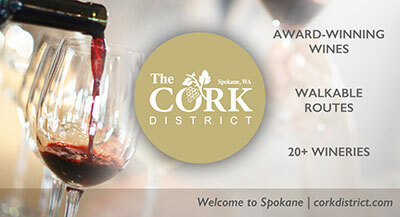 They are located at 721 W 2nd Avenue in Spokane. The phone number is 509-456-3333 and the website is instantsignfactory.com. Oregon Tile & Marble a Bedrosians company is in the process of constructing a new 30,800 square foot building in Spokane Valley with an 8,000 square foot show room. The $1.1 million project, which is visible from I-90 is located at 19119 East Broadway Avenue. The company, currently in Spokane Business and Industrial Park, is a distributor and wholesaler of a variety of tile and stone products such as porcelain, stone and quartz for commercial as well as residential. The new building is expected to be completed this spring and the company will move. April 15, of this year, Oregon Tile & Marble joined forces with Bedrosians Tile and Stone to create Oregon Tile & Marble a Bedrosians Company. The website is oregontileandmarble.com. 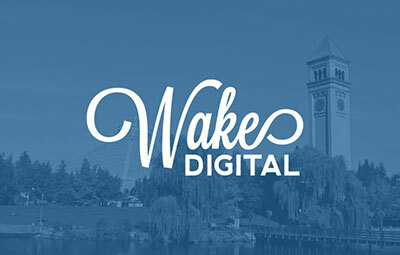 Wake Digital, a young Spokane digital marketing agency, is dedicated to helping businesses thrive in today's new wave of digital marketing. Founded by Austin Damon & Austin Dixon, they provide services from web design to email marketing, all crafted with the goal of helping local businesses succeed in a crowded market place. As young creatives, they like to think outside-the-box and come up with strategies that have a millennial mindset behind them. These two ambitious millennials, both born and raised in Spokane, are graduates of Lewis and Clark High School. Austin Damon graduated from Whitworth and Austin Dixon is a graduate of Pepperdine. Together they are shaking up a digital marketing industry that's grown 19% since 2015. They know just what it takes for local businesses to succeed. They believe that brands are far more than just a product or a service; each has a one of a kind story to tell and are run by unique individuals. Wake Digital has a fresh and ahead-of-the-curve perspective on what local businesses should be doing digitally to grow and evolve their brand. At the core, these founders believe that digital marketing offers businesses a unique opportunity to tell their story through well-crafted and timely marketing. The phone number is 509-309-0036 and the website is wakedigitalmarketing.com. The HUB Sports Center has joined #GivingTuesday, a global day of giving that harnesses the collective power of individuals, communities and organizations to encourage philanthropy and to celebrate generosity worldwide. Occurring this year on November 29, #GivingTuesday is held annually on the Tuesday after Thanksgiving (in the U.S.) and the widely recognized shopping events Black Friday, Small Business Saturday and Cyber Monday to kick-off the holiday giving season and inspire people to collaborate in improving their local communities and to give back in impactful ways to the charities and causes they support. An anonymous, generous donor has agreed to match all donations to the HUB Sports Center received for the #GivingTuesday campaign up to $15,000! Donations will have double the impact during this campaign toward the purchase of the building. #Giving Tuesday campaign is part of a larger capital campaign for the HUB Sports Center to purchase their facility and secure it as a permanent resource to the youth, adults and seniors in our community. To learn more about the HUB's #GivingTuesday campaign, visit: www.hubsportscenter.org/giving-tuesday or www.hubsportscenter.org/capitalcampaign. In addition to debuting an updated website, The University District has moved to a new office in Spokane's University District in the Ignite Northwest/WSU Innovation Center building at 120 North Pine Street. Situated at the north landing of the future University District Gateway Bridge and south of the Gonzaga University, Washington State University Health Sciences Spokane, Eastern Washington University, Whitworth University and Community Colleges of Spokane campuses, The University District's new space promises to be a convenient hub and headquarters for stakeholders, community members and visitors alike. Special thanks to the Downtown Spokane Partnership (DSP) board of directors and staff for housing and providing support to The University District in DSP's downtown office since 2009. "'We can't solve problems by using the same kind of thinking we used when we created them."